Stimulated by the Freedom of Sound Festival over May 30-31 2014 presented by Seed Artists, a major revision has been made to this discography. You can follow the links to each set of tracks by clicking on . Depending on your browser, the track info should load and in many cases the tracks will load. You may need to play (and then stop) the track before one that hasn't loaded in order to load the next one. Peter Roberts' version of the discography is available on his own site. This version is relatively plain but is in the standard form, useful for research. Here's a nice shot of Dolphy drawn by Peter's brother. The following attempt at a complete discography is for the purpose of keeping track of what I have and do not have as far as Eric's recordings. I think it is appropriate for other people who feel similarly to use it, and am glad to distribute it. Everybody should note that this listing is based almost entirely on Eric Dolphy: a musical biography and discography, Vladimir Simosko and Barry Tepperman, Smithsonian Institution Press, Washington, 1974. I refer to this work below as "S&T" for short, or simply say Simosko to indicate his more recent remarks. Anybody who would read this listing should certainly have this book. I also refer below to Swing Journal, by which I mean the June 1974 issue, Swing Journal Vol. 7:250-255. This is a great magazine/book published monthly in Tokyo. This issue has a discography with pictures of album covers, plus a Dolphymobile on page 109. 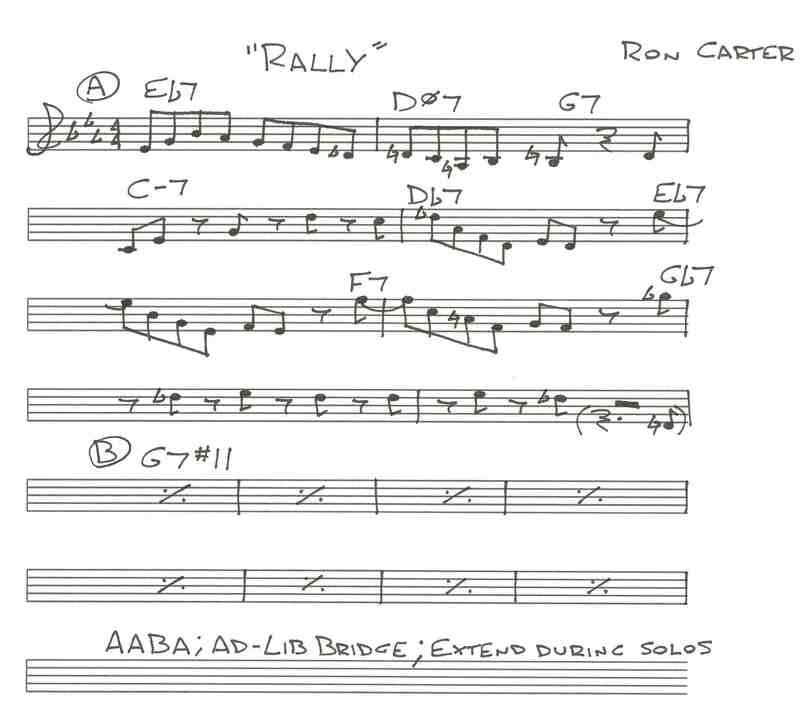 Bill Hery also provided notes based on "Jazz Heros Data Book" published by Swing Journal. Wolfram Knauer has put a bibliography up on his web pages - look in the sidebar under Jazz Index (Bibliographies) for Dolphy - for the Jazz-Institut Darmstadt. Paul Karting, who arranged Dolphy's tour of Holland in 1964, has sent a number of photos and documentation, organized on a central page. 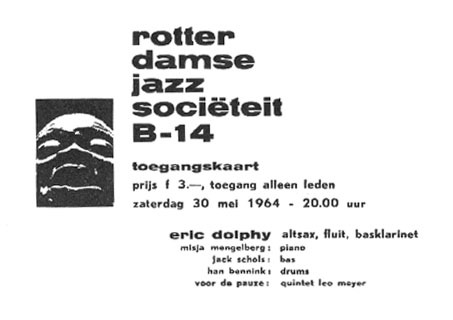 Paul also sent the text of the interview Michiel de Ruyter did with Dolphy on April 11 1964, an edited excerpt from which is well-known thanks to its inclusion on the Last Date record. Albrecht Heeffer contributed pictures of the covers of all the CDs he has, plus pages describing the contents of each CD. Albrecht was maintaining a partial mirror of this at his site, http://www.netpoint.be/abc/jazz/index.htm, but this is not up any more. Esa Ontonnen has a nice Mingus discography at http://mingus.onttonen.info. There is also now an "official" Mingus site. Kenzo Nagai had put together a great resource describing Dolphy-related recordings by other musicians, but this no longer exists. I have also placed a Booker Little discography right next door. There are lots of other discographies on line. 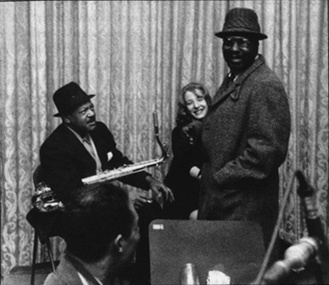 See the Jazz Discography project, my jazz page, or any of the other specifically jazz pages or general search engines. As of June 20, 2001, other sources I have used for the information below are Ed Beuker, David Wild, Bill Hery, Vladimir Simosko, John Bell, Makoto Yoshioka, Stan Jones, Jacques Brierre, Arjan Koning, Ed Rhodes, Peter Roberts, Thierry Bruneau, Erik Raben, Piotr Michalowski, Ralf Dietrich, Stefano Zenni, Chuck Nessa, Paul Karting, Claudio Sessa, and Joe O'Con. Their input is very much appreciated. They are much better sources than me for all sorts of information about music. The Uwe Reichardt discography "Like a human voice: the Eric Dolphy discography" published in 1986 by Norbert Ruecker should also be consulted for good data and further references. Peter Roberts sent me Reichardt's update from 1987. I also would recommend to Dolphy fanatics the book by Raymond Horricks from 1989, "The Importance of Being Eric Dolphy", published by DJ Costello, Tunbridge Wells, Great Britain. This is a loving tribute with some touching moments, especially from the correspondence of Richard Davis, though I found it to have numerous errors and little problems. It features some transcriptions by Ken Rattenbury (Stolen Moments, Tenderly, and God Bless the Child) that I would love to add here. I would also like to add Roger Jannotta's transcription of the 8 September 1961 (Copenhagen) God Bless the Child with a wonderful analysis of what Dolphy did. Jannotta published this in Jazzforschung in 1977. Thanks to Richard Faria for this! The Fujioka Coltrane discography (John Coltrane: A Discography and Musical Biography, Scarecrow Press, Metuchen NJ, 1995) was enormously helpful to me in updating this Dolphy discography with some of its amazing entries. A new edition of Fujioka, by Chris DeVito, Wolf Schmaler, David Wild, Yasuhiro Fujioka, and edited by Lewis Porter was published in 2007. Erik Raben provided his Dolphy entries for the Jepsen discography he now maintains. 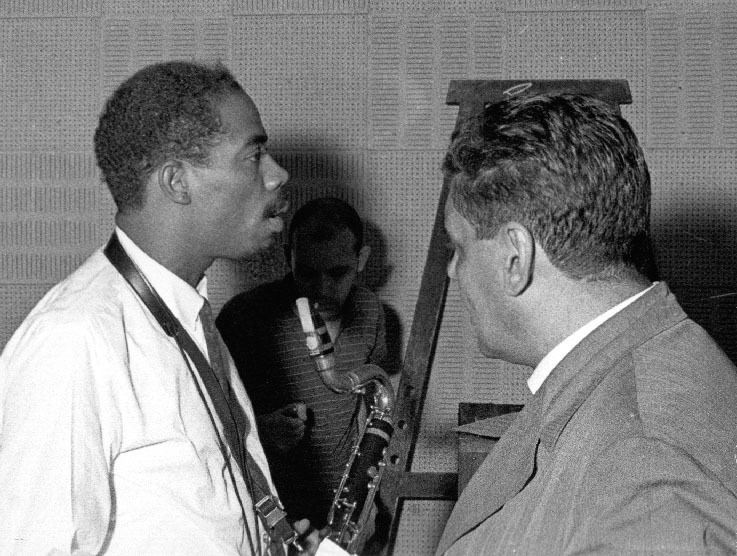 Deep appreciation to the late Hale Smith, Eric's late aunt Luzmilda Thomas, the late cellist Nathan Gershman, and many others for sharing their thoughts about Eric Dolphy. You may also provide feedback via this form, but I rarely check this. Thanks!!! 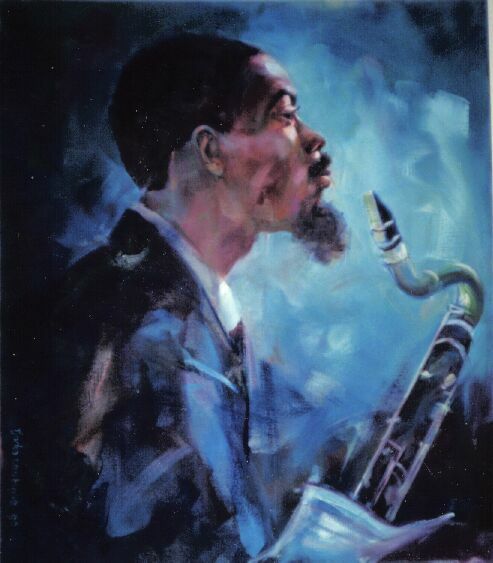 Welcome to Dolphy-L, a discussion list concerning the musician Eric Dolphy and related topics. Eric Dolphy lived from 1928 to 1964, and recorded primarily after 1959. An excellent biography/discography of Dolphy, by Vladimir Simosko and Barry Tepperman, is available through Da Capo Press, and versions of that discography, along with various other information, can be found at http://adale.org/Discographies/EDIntro.html on the web. These sources can be consulted for answers to Frequently Asked Questions. We expect this list to be low-volume, limited to informative posts. Although not moderated, the list-owner may impose restrictions, and may change the list to a moderated form if necessary. For broader discussion, the Usenet newsgroup rec.music.bluenote is recommended. Because for now (as of 1996) most people spend time reading all email they receive, we will strive to spare subscribers from receiving things they might not want. It is important to understand, however, that you will get email that you might not like, and rather than take offense it is almost always preferable to delete it and forget it. In particular, please do not reply to the list unless you have something to say to everybody - otherwise, reply ONLY to the individual to whom your comments are specifically directed. We would ask for a high degree of sensitivity to diverse cultural norms, as well as tolerance. To subscribe, unsubscribe, obtain help or get info about the list, send messages to Dolphy-l-request@list.adale.org or to Dolphy-L-ON@list.adale.org or to Dolphy-L-OFF@list.adale.org rather than to the list (Dolphy-L@list.adale.org) itself. Write to me if you have any problems. Please SAVE this message somewhere convenient for the day when you will want to unsubscribe! I have inserted some of my comments below because I needed to express my feelings as I did this. I apologize for them, knowing how bothersome other people's ideas usually seem when it comes to great music. They serve the purpose of letting you know that I have the relevant music in my collection, anyway. I have now listed things I don't have in bold type, and put a text note in as well for people who get an unformatted version of this. Thanks in advance to anybody who corresponds with me. Some examples of Eric's school work: papers from a physics course, which are actually all about music, though with relations to physics for the most part. Eric did not seem to be a great student, based on his transcript from Junior and Senior High School, with the glaring exception of Orchestra and Band! From an early age he was clearly devoted to music, which probably left little time to do the other work. I also read an essay Eric wrote on Chief Justice Earl Warren's treatment by the press that had nothing to do with music, and want to date it based on the original Nation and New York Times Magazine articles he discusses. One last thing: I went in about 1974 to Eric Sr. and Sadie's house, the house Eric grew up in, to interview them on videotape. At that time I was involved with a bunch of musicians/crazy people in making videotapes with Portapak equipment (half-inch reel to reel black and white video), and we had a weekly TV show on LSTV, channel 24 in San Diego called the Terminal Timewarp Hour. So I shot about a half-hour of tape with Eric and Sadie in their house that I planned to edit for TV etc. Unfortunately, some of my comrades erased the first part of the tape, and I never got around to editing it. I transferred it to VHS, and have now digitized portions of it, as listed in this table. I was terrible, but Eric and Sadie were wonderful, told great stories, revealed something of their personalities, and I shot some of their photos etc. and a bit of music. Anyway, the world is much poorer since they died in 1988 or so. But Joe O'Con bought their house intact and was using it as a sort of museum/community center. Unfortunately, in the spring of 1992 the house was trashed during the violence that erupted in LA. Much was lost, and I hope that Joe recovers and continues his mission. He can be reached at eadolphy@gmail.com. His Dolphy archives will hopefully preserve both the air and the music. When I visited Joe in December of 1995 we spent a day going through some of his archives, and I am including some of the material here. Joe has a bass clarinet Eric used in the 1950s, the Wurlitzer electric piano Eric used for composing, stacks of music that Eric had (sheet music, exercise books, etc. ), tons of paperwork, and wonderful photos. Among things I learned that day were that the little studio Eric's father built for him wasn't put in until 1955; in 1961, Eric's federal income tax return showed that he earned $4000 ($2397.46 income and $1608.60 in royalties etc. 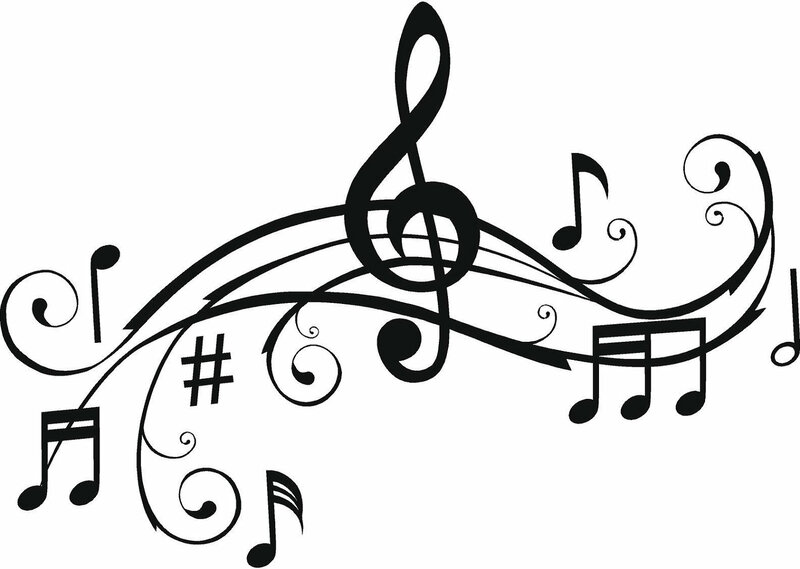 ); the list of instruments Eric had insured includes a Selmer alto, a Buffet soprano clarinet, a Selmer bass clarinet, a Buffet bass clarinet, a Powell flute, the Wurlitzer, and a piccolo. The most valuable of these was the flute, worth $600! 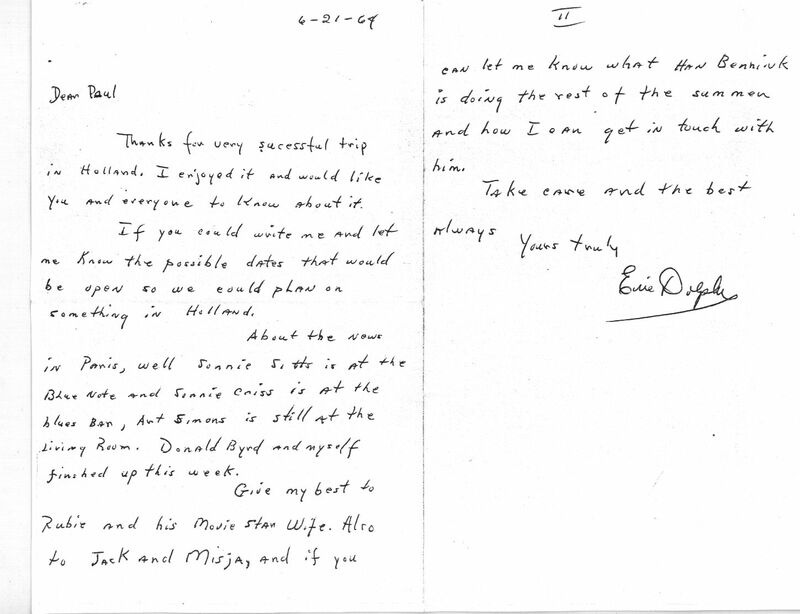 There are a series of letters from Hale Smith to the Dolphys from the late 70s, in which he mentions sending them the scores to Love Suite (the string quartet Eric was writing in 1964) and Red Planet. Gunther Schuller apparently has these now. I tried to shoot some photos of the pictures in a photo album Joe has, an album I had first seen many years ago when we shot the video mentioned above. I've now put up scans of the slides I shot, even though they're extremely poor quality. Some of these shots are reproduced in better quality in Simosko and elsewhere, but some might be new to some of you. Here are a series of sound samples and transcriptions from an interview that well-known LA-based writer Leonard Feather did with Dolphy. The date and other details are not known. 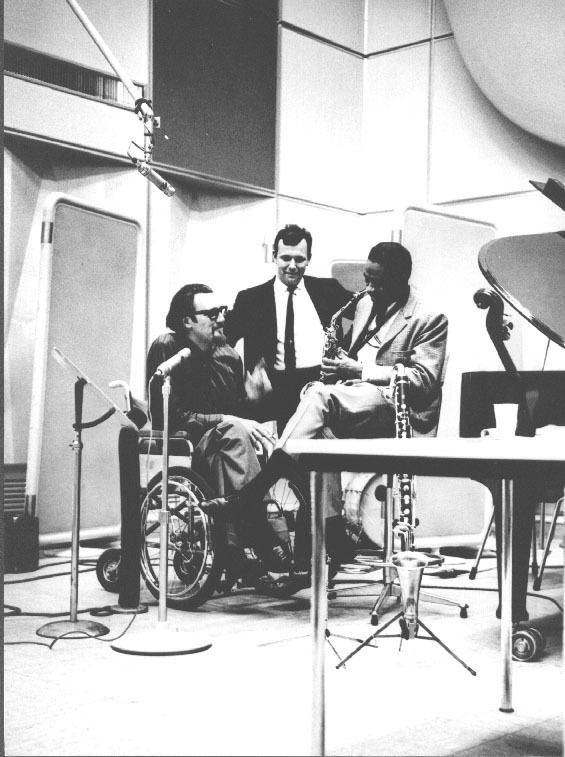 Mark Ladenson provided it to me, and he got it from Bruce Robinson, who wrote: "According to Steven Lasker, who found it amongst Feather's papers on a tape with two Ellington interviews, it is in the public domain and can therefore be copied or used in any way you like. There is no definite date for the interview, which Lasker dates around 1964." The following indices are not yet implemented, and don't expect it too soon. If anybody would like to do this, please let me know! The sound and video samples work, but aren't linked to the discography yet so you might not be clear on where they're from. Also, many of these are huge files so download with discretion. Instead, I have now linked mp4 files throughout the discography. Vladimir Simosko has supplied me with his indices from the latest (1996), though as yet unpublished, edition of his biography/discography. I will try to get these up soon and attempt to link their entries to the discography as time and inspiration permit. Savoy 944, Savoy MG9026, Savoy SJL 2215, Knockout ? 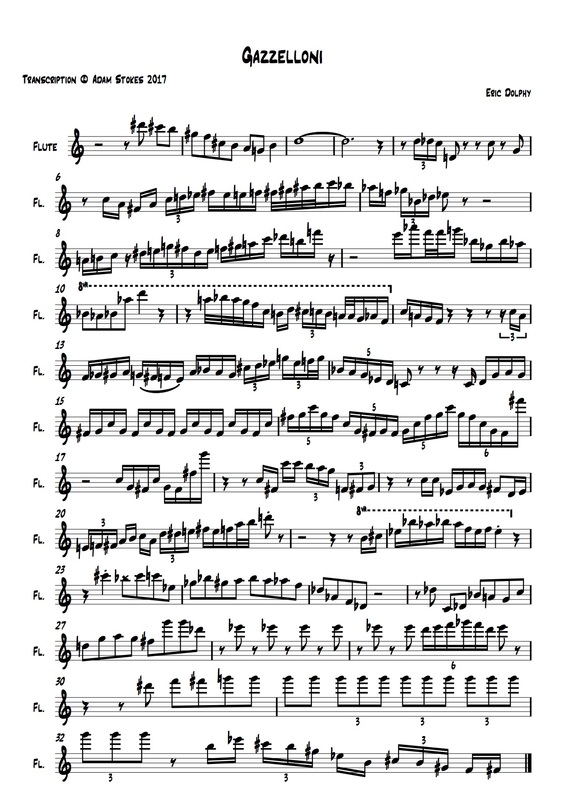 Simosko's list of Eric's recordings of his own compositions. Of particular note are the videos George Schuller has put up on YouTube of Russ Johnson's Out To Lunch performances at LeMoyne College on 7 April 2010, including Dolphy's Love Suite. I deleted the scattered list of samples I've had here for years, given that I'm getting things linked to the discography. Here are a few pointers, though. 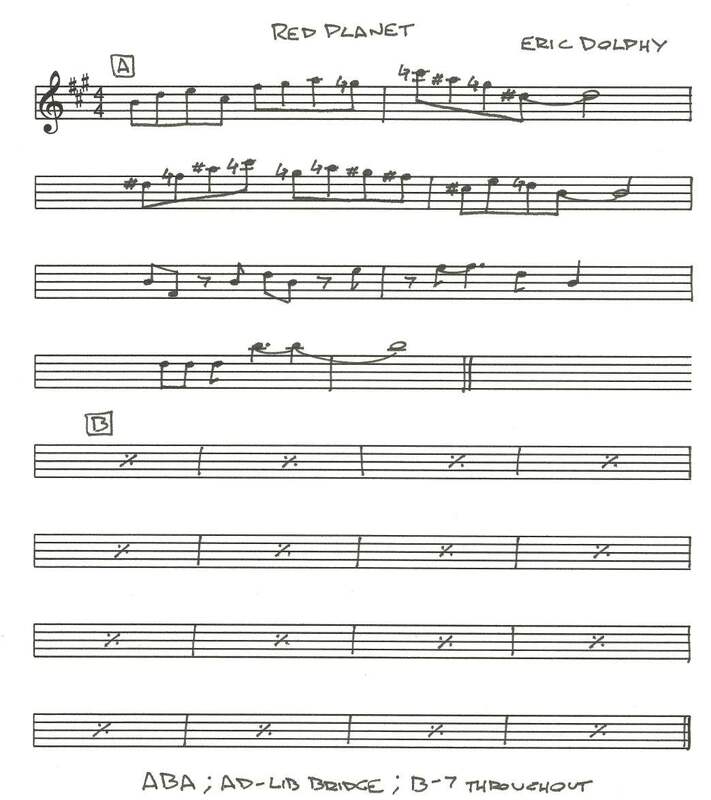 Joe Hellerstein's Dolphy Page Joe has some transcriptions and samples: Serene and Miss Ann. Check it out! Movies - note that better versions are now linked to the discography entries! And see the filmography. See also Postscript and Filmography for the whole rehearsal. One Note Great clip of Eric Sr.